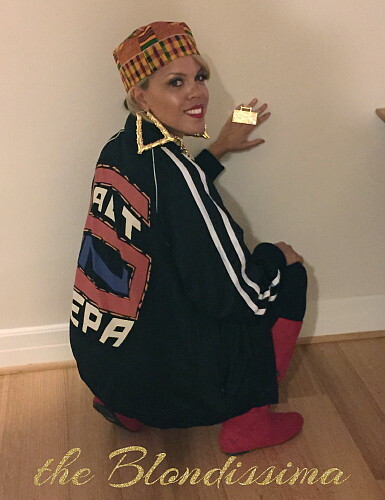 For Halloween this year I was Salt from the 80s rap group Salt n Pepa. I thought it was a super fun costume and most everyone knew who I was, although I got a few people asking if I was MC Lyte or Queen Latifah. I usually buy pre-made costumes but putting together this DIY was fun although no cheaper. I loved the 80s door knocker earrings and gold chain! I used fabric glue to cut out the logo from a t-shirt and glue it to the back of my jacket. Instead of carrying a boom box I wore a boom box ring. I went out both Friday and Saturday nights in the costume which was super comfortable and warm, pretty unusual for a Halloween costume! I didn’t even need a purse because the jacket (which I found in a thrift store) had zipper pockets, score! Funny story from Friday night. I thought I was going to spend the whole night at a house party so I didn’t bring my ID. But my friends wanted to leave and go to a bar. The bar had a huge line down the block but we heard the bar playing Salt n Pepa’s "Push It" song so my friend said to the bouncer that he should let us in and he did! I walked in to my costume's theme song and got high five's from people which was fun! lol If you're not familiar with Salt n Pepa here's a little history lesson from Wikipedia. Salt-n-Pepa made their impact on hip-hop by being the first all women rap group. The trio from New York have won a Grammy Award for Best Rap Performance by a Group back when major record companies were reluctant to sign hip hop artists. Pepa married Treach of Naughty by Nature (you down with OPP?). Salt decided to quit the group in 2002, stating she had enough of the music industry and no longer wanted to be involved in it. 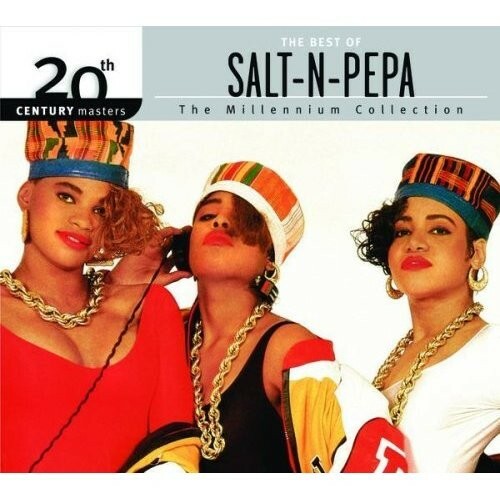 But the group got back together in 2007 when the Salt-n-Pepa reality show debuted on VH1. The song "Push It" was released in 1987 and for a song that's nearly thirty years old, "Push It" has lost none of its original luster. It peaked at #19 on the Billboard Hot 100 in early 1988 and re-entered the charts after the group performed the track at Nelson Mandela's 70th Birthday concert, eventually peaking at #2 that summer. 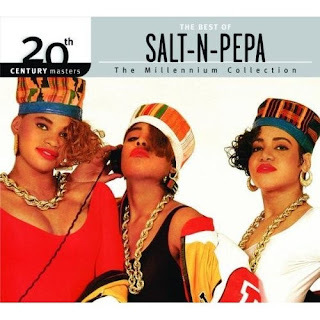 The album sold one million copies making Salt-n-Pepa the first female rap act to go gold or platinum. 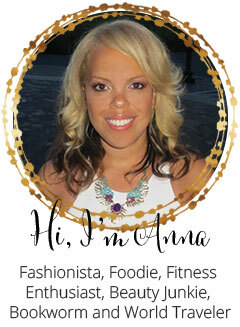 The song is sampled in Pitbull's song "Hey Baby (Drop It To The Floor)." You might recognize some of their other songs: Shoop, What a Man, Shake Your Thang, My Mic Sounds Nice. Last November they made this Geico insurance commercial performing "Push It".